Suitable for vegetarians. NOT suitable for diabetics. Two or three times a day, mix a tablespoonful with cold or warm water, milk or yoghurt. 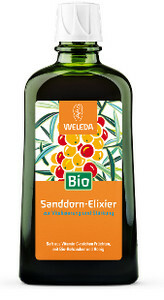 For a less sweet drink, try the 100% fruit formula of Sea Buckthorn Juice. 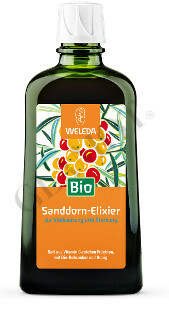 Complements Weleda Birch Juice or Elixir in a spring or autumn régime.